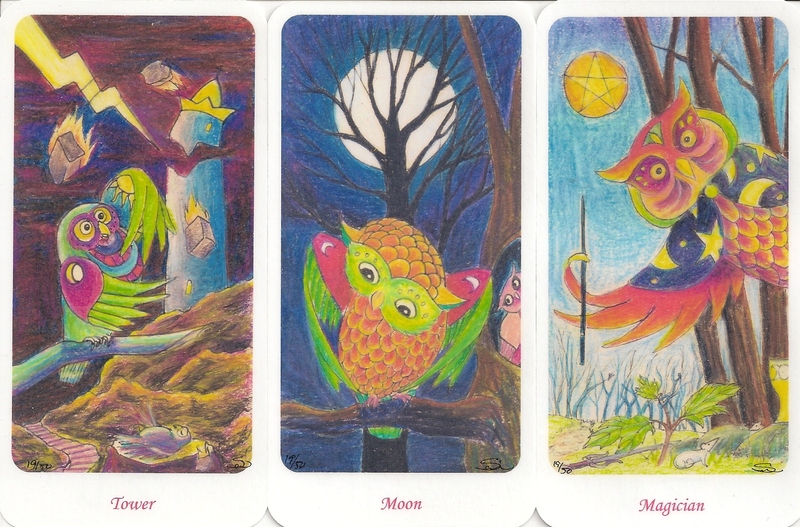 This majors only deck full of multicolored owls is inspired by the Tarot writer Tierney Sadler. 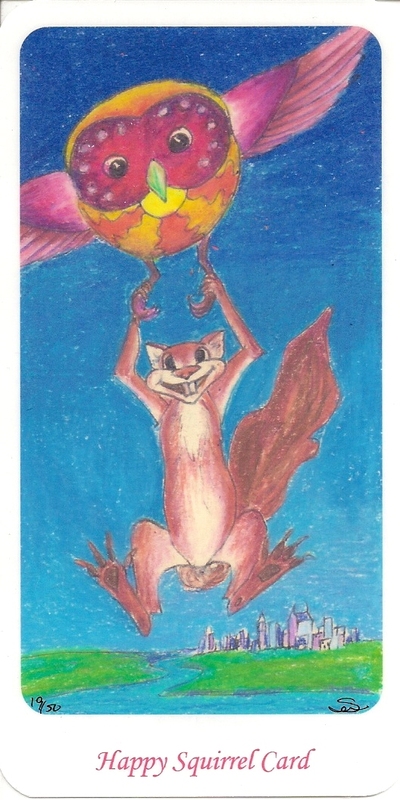 It has the "Happy Squirrel" taking over the Fool Card . The cards measure 5.25 by 2.67 inches and on the card backs are also owls. It is a limited edition of 50 handcrafted decks, meaning that the artist has printed, laminated, cut and curved all corners. Mine is number 19. 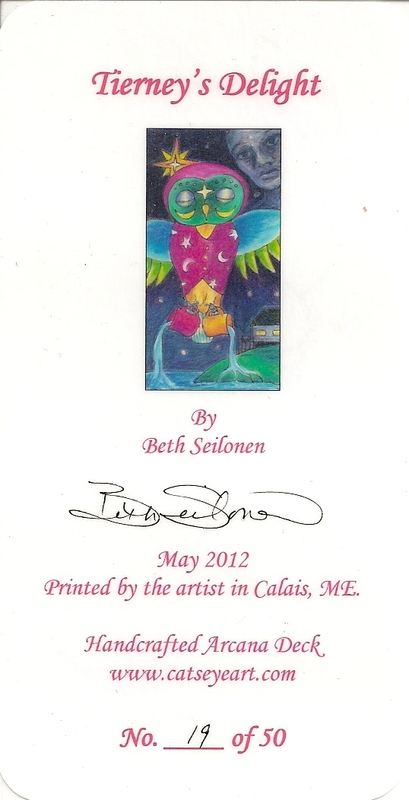 Each ceck is signed and numbered and comes in a metal top lid box.